This book review first appeared in The Friend on 12 May 2017. In her recent book, American Friend Marcelle Martin seeks to outline a vision of the spiritual life with a shape and pattern that reflects the enduring experience of Friends throughout their history. Within three overarching stages, she identifies ten aspects of the Quaker spiritual journey. 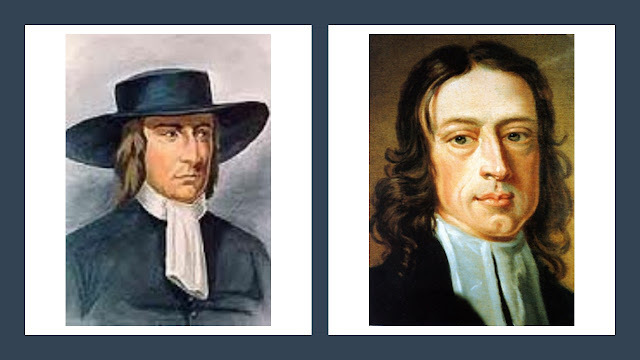 Each of these is illustrated using practical examples taken from early Friends and from Quakers across the world today. Martin explains that this first stage represents the beginning of the journey. It is a process of re-evaluation and reflection that may not have featured previously in a person’s life. Something seems to be calling us to change direction. It involves three elements. Firstly, a ‘vague sense that we are meant to live in a better way’ which she calls ‘longing’. This is often associated with a growing dissatisfaction with both our way of living and the ways of the world in which we develop a desire for deeper meaning and greater authenticity. Secondly, ‘Seeking’, describes the search for a way of life that has such meaning and authenticity. This might involve re-evaluating the religion of our upbringing, exploring other faiths, or even exploring these things for the first time. Finally, ‘turning within’ describes a desire to seek something deeper, beyond surface appearances. This may be promoted by a personal crisis that forces us to face up to uncomfortable truths that we have been avoiding. Through the convincement experience, we find ourselves engaging with a power beyond ourselves that undermines all our previous assumptions and prejudices. Martin argues that this is an experience of receiving divine guidance, leading to a transformed life. The Spirit shows us our darkness and we come face-to-face with the reality of the life we have been leading. The old self is beginning to make way for a new self. Something new is being born. This stage also has three aspects to it. Firstly, we begin to receive ‘Openings’. The process of seeking and the practice of turning within bring an awareness of divine revelations. These openings show us how God’s way differs from the ways of the world. They reveal what is wrong with the world and with our lives and provide guidance about what to do in response. Secondly, we experience the often painful process of purification in ‘The Refiner’s Fire’. Once our darkness has been revealed, it needs to be dealt with. A ‘refiner’ uses heat to remove impurities from gold and silver. This process of purification is often a lengthy one, stretching over many years. Finally, the support of a ‘Community’ is an essential aid to individual spiritual development. Martin writes that “it takes a community to glimpse the wholeness of a person’s life and how God’s grace is revealed in it”. At its best, the Quaker community balances acceptance and nurture with a sense of mutual accountability and challenge. There is something about working together with others on a shared path that accelerates spiritual development. Martin notes that the fruits of inward spiritual transformation are revealed in the lives we live. To be faithful is to maintain a discipline of listening for guidance and a willingness to put that guidance into action. This may bring discomfort and even suffering, but we can rely on the upholding love and empowerment of the Spirit as we become vehicles for divine love and justice in the world. There is no end to this process. This final stage of the journey is made up of four elements. Firstly, we come to recognise and following divine ‘Leadings’. As our sensitivity to the divine presence deepens, we become more open to the guidance of the Spirit. Leadings might be towards a single action or part of a larger call on our lives. Each of us must listen for these leadings and exercise careful discernment to ensure that we don’t ‘outrun our guide’. Secondly, living in ‘The Cross’ means giving priority to doing God’s will rather than our own in all aspects of life. This can bring mockery and persecution and a desire for comfort, safety and prosperity may make us reluctant to take risks for the sake of God’s greater purposes. Paradoxically, however, such an experience of death brings a more abundant life. Crucifixion leads to resurrection. Thirdly, we become aware of the ‘Abiding’ presence of God’s love upholding us and carrying us through difficult times. This experience drives out fear and give us the confidence to do what we are called to do. It can also bring a sense of joy even in the most difficult circumstances. Finally, we come to know ‘Perfection’, not as a state of moral superiority, but rather as a sense of moving into the unity of individual will and divine will. This is about living in right relationship with God and all created things. In the New Testament, Jesus equates divine perfection with unconditional love (Matt 5:43-48) and the word ‘perfection’ is better understood as ‘wholeness’ or ‘maturity’. Marcelle Martin’s valuable book provides us with a really useful manual that guides us through the twists and turns of the Quaker spiritual journey. Her language and orientation tend towards the Christ-centred and traditional, and this may not be attractive to all Friends. However, by looking beyond the specific words used, it is possible to see a spiritual pathway that is coherent, experiential, life-giving and transformational. She describes a tried and tested way that is genuinely challenging and sometimes quite scary, but at the same time, leads to joy, right relationship and the peaceable kingdom. Over the years, Friends have found great inspiration in the spiritual autobiographies of their forebears. Understanding how the Spirit has worked in the lives of Quakers in the past nurtures the present generation. Martin weaves aspects of her personal spiritual autobiography into the text in a most helpful way and her inclusion of practical examples drawn from Friends across history and from all branches of the world family of Friends today is a great strength. Priced at £12 for the paperback version, this is an affordable and attractive book for both individual Friends and meeting house libraries.